Lunch there is always great! Huge Fish & Chips! Nice pub atmosphere! Taco eatery & Tequila drinkery. Fuel up the family with pasta and more, before your mountain adventures! Great comfort food & drinks at this small neighbourhood pub! Real home-made sandwiches from this casual, underground eatery! Kid friendly and tasty burgers at this small eatery! 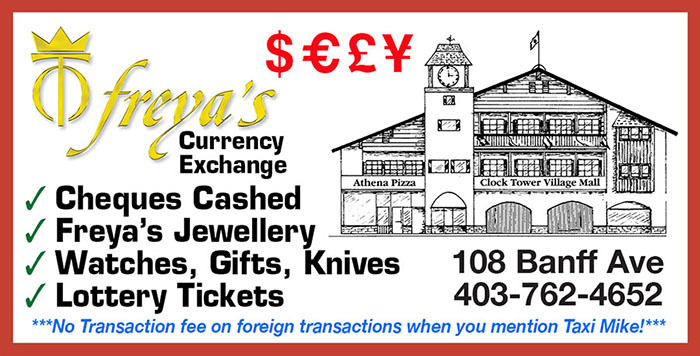 Banff's best pizza and cast iron specialties! Enjoy a ridiculously good pizza and a local pint in our cozy Tavern, or on our rockin' courtyard patio in the summer. Best Nachos! Healthy vegetarian, vegan and gluten-free options! Relaxed dining and a great view for everyone at the BPL! Comfort food, Veggie food, Hippy food & great beer! World Famous ribs and a great view of Banff Avenue! 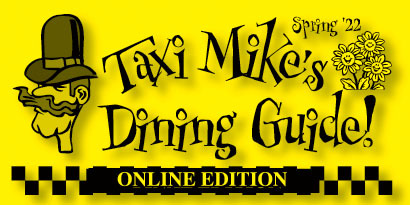 Tell your Server that Taxi Mike sent you!